A suspense thriller, Wait Until Dark places a blind woman in peril but is otherwise too contrived to be effective. A doll stuffed with heroin is smuggled across the border on a flight from Montreal to New York and inadvertently ends up in the apartment of housewife Susy Hendrix (Audrey Hepburn) and her photographer husband Sam (Efrem Zimbalist Jr.). Susy is blind, having recently lost her eyesight in a car crash, but Sam pushes her to be independent. Drug smuggler Roat (Alan Arkin) searches the apartment but is unable to find the doll. He recruits con artists Mike Talman (Richard Crenna) and Carlino (Jack Weston) to trick Susy into revealing its location. With Sam away at work, Mike pretends to be a visiting army buddy, Carlino pretends to be a crude cop, and Roat pretends to be Roat Sr., a crazy old man, as well as his son Roat Jr. They come in and out of Susy's apartment to try and get her to talk about the doll. At first trusting Mike, Susy starts to grow suspicious of all the visitors, and her only ally is the bratty young teenaged girl Gloria (Julie Herrod), who lives upstairs. An adaptation of a play by Frederick Knott, Wait Until Dark suffers from an over elaborate plot that strains all credibility. To create the sustained drama in Susy's house, the script has the ruthless Roat concocting a most obtuse plan involving intricate playacting by three criminals, several disguises, a revolving door of comings and goings, a careful schedule of pre-planned telephone calls, signals transmitted by flashing light through kitchen blinds, and a surveillance van. For the purpose of getting a defenceless blind woman to reveal the location of a doll, none of this makes the least bit of sense, especially after Roat's quick willingness to inflict severe bodily harm to get what he needs is revealed early on. Director Terence Young hopes that no one notices the massive plot holes, and almost gets away with it thanks to a delicate Audrey Hepburn performance. She generates maximum sympathy as a blind but supremely attentive and smart woman, alone, being preyed on by three goons, and with no one to turn to except her young neighbour. Alan Arkin is the other big bonus as the fierce Roat, but he disappears for long stretches, leaving Crenna and Weston to carry the bad guy load, and they are merely average. 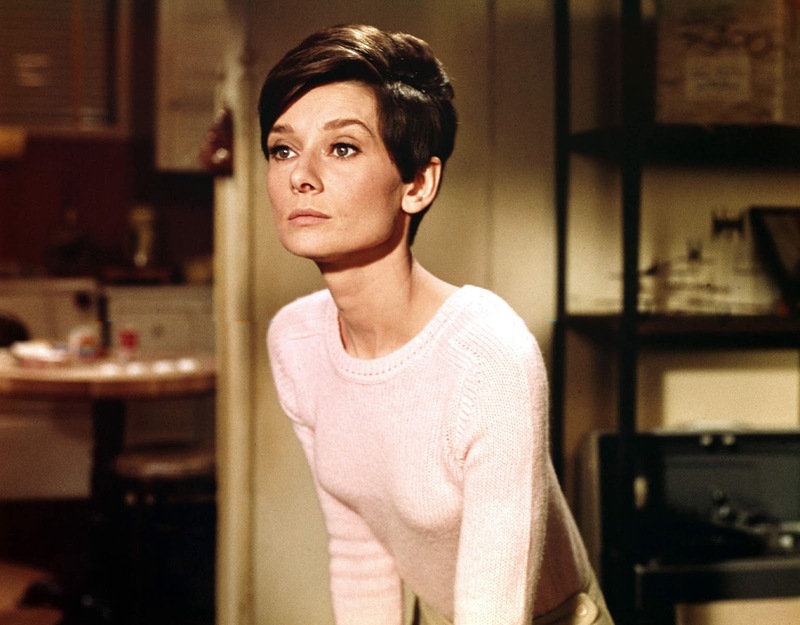 The stage-bound theatrics rumble on with only moderate moments of suspense, mostly courtesy of Hepburn's acting, until a rightfully famous climax featuring a showdown between Susy and one criminal. The film finally jettisons the amateur playacting and ineffective psychological pressure to focus on attacker and victim, the audience sucked into Susy's dark world of mounting terror with clever use of light. 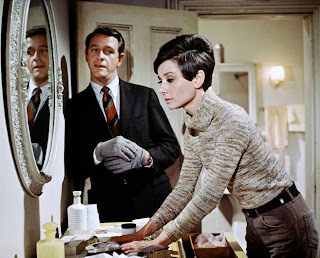 Wait Until Dark is better when the darkness finally arrives, but all the waiting is problematic.